Why are the nicknames of players getting more and more… Not forced? Distance produces beauty, and the force of NBA nickname is completely lost by this gradually disappearing distance. These nicknames, which were widely used by fans later, actually came from the direct translation of American nicknames by the early media, because only their voices could be heard and disseminated by the public, so even if the nickname was turned over, it would actually be somewhat confusing for the second monk and would eventually be disseminated as the “official language” — the most typical example is Domi. Nikki Wilkins, because of the many exciting dunk highlights of the game, Wilkins’s nickname in the United States is “human highlight film”. The nickname is actually unable to find a proper Chinese translation because of the differences in language and culture, and the early Chinese media translated it literally into “the essence of human movie”. A lame and awkward nickname has formed a consensus in the whole Chinese basketball circle, so that future generations are too lazy to amend it. This may explain why each of the old players’nicknames seems so compelling… The natural nature of the media will naturally make them choose words that are positive, solemn and close to people’s life when they pack players’nicknames. Even homophonic sounds will go up as high as possible (like going up Liangshan, Li Zhong, an individual who buys medicine under the overpass, has to be renamed “fighting tiger generals”), such as Earl the Pearl and so on.“ Pistol Pete, Akeem the dream, Clyde the glide, etc. As for another confusing nickname, “Rain Man”, it is actually used in the movie “Rain Man” (formerly known as reign man), which has been slashing four Oscar Awards in 1988. After entering the 21st century, with the highly developed network, the communication between fans has increased explosively. The voice channel is no longer a few TV broadcasts a week and two magazines a month. Network community and self-Media are channels for fans to communicate. Can the voice of an ordinary football fan be easily spread all over the world through the Internet? This trend has gradually changed the naming right of players’nicknames from the media to the hands of fans. At the same time, it has also succeeded in making the force of players’ mass nicknames gradually change from the whistling sky to the second dog. Blockquote > “On March 13, 2001, the Celtics challenged the Lakers away. Despite losing the defending championship, Pierce, in the third grade, scored 42 points in defensive 19-shot 13 with Kobe. After the game, O’Neill said to the Boston reporter, “Please take note of what I said. My name is Shaquille O’Neill, but Paul Pierce is the truth.” —— Since then, the loud nickname of truth has been accompanied by Pierce. “In 1993, under the leadership of Barkley and Kevin Johnson, the Sun leaped to the top of the league. In the first two rounds of the playoffs, KJ scored 19.6 points and 9.4 assists, with a shooting percentage of 53.1%. The team also easily ran over the Lakers and the Spurs. But in the Western Finals, they were stubbornly blocked by the supersonic. The young supersonic third-grade point guard was so entangled with KJ that the whole series fell to 15.9 points and 7 assists with 46.6% shooting percentage, especially in Game 4. In that game, KJ was prevented from making two of 11 shots and scored only six points. After the game, the young guard named Gary Payton spoke to his cousin on the phone and he said, “Hey, gloves! You did a good job.” The nickname “gloves” came into being despite the seven defeats of the supersonic. “Glove” defense became Peyton’s trademark, winning him nine defensive spells and a best defensive player trophy. Blockquote > Durant’s backpack looks like a contractor, so it is called “schoolbag Du” and “migrant workers Du”. Curie is so cute and pitiful that it becomes a pupil and”sprouting spirit”. But it’s not without a counter-attack… In the finals, 2-0 was turned upside down and 67 wins were black eight. 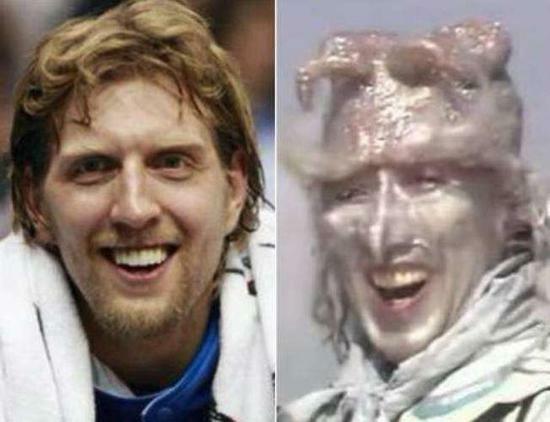 Once upon a time, Nowitzki was relentlessly buckled the cap of “soft egg”. Even with 27 points and 8 rebounds, the three shooting percentage is 54.7%+57.1%+95.2%. Fans should blame him for being black seven. Finally, when he ran over the Lakers and reversed the heat in 2011, Nowitzki, a god-winning player, was proudly called “I’m soft” by his fans. At this time, Nomies finally have an incomparably hard waist pole, so that they can relax in the oral, “soft” self-blackmail. At the same time, they also incidentally gave the old rival Garnett a “hard” title, ironic self-evident. Another example of irony is Old Man in March. LeBron’s aggressive tank breakthroughs in his youth made millions of fans love and hate each other, and also made his pessimists assert that “James is bound to fall sharply after 30 years”. When LeBron was still at the top of the League after 30 years of age and reached new heights one after another, fans who loved him gave him this new nickname. It was not only an ironic response to Jan Hei’s previous assertions, but also a self-mockery of LeBron’s increasingly lazy defensive performance. If you want to know a player’s most complete nickname, forbidden thesaurus is absolutely your best source of information, and a nickname from forbidden words to be lifted, the greatest motivation comes from the performance of the star himself and the momentum of his fans. It’s hard to imagine that Nowitzki would have been labeled soft eggs if the 11-year heat had won the championship successfully as most people expected. Nomi’s attitude towards the word “soft” would be as unknown as Ah Q’s taboo of the word “bright”. If LeBron really showed his old ways after he was 30 years old, “Old Man in March” might be what Zhan Hei liked to say, which would make Jamie nowhere to hide. Even Durant’s praised “beauty” is essentially a praise for his powerful strength. Fighting with the gangsters is much more. Sometimes the honeys do not need the other party to start a war, and they will start their own fight against the gangsters. A few days ago, Curie slipped on the court twice in a row, and fans immediately added a “skater” to him. Kuri reluctantly dunks and other shots, but also fans made a variety of video clips, seen in major video websites. The vivid nickname “Zhang Tielin” is also the expression of Spurs fans’love and hatred for Danny Green’s feel all the time. Durant, who loves to carry his schoolbag, really doesn’t care about his clothes, so he has not been laughed at by netizens. He has laughed at him for earning tens of millions of dollars but still has a strong temperament of “migrant workers”. In addition, online media use trumpets and netizens to spray, online posting to borrow ESPN membership accounts, obsession with lottery winning prizes, public declaration of willingness to drink Scarlett Johnson’s bath water, these acts and his superstar identity are difficult to match. It’s probably the opposite effect of extremes, and these shortcomings seem to be fermenting in the opposite direction. These “diao silk” behavior has aroused the resonance of many ordinary fans and netizens, and is regarded as a symbol of “grounding gas”. And Durant’s “close people” even let some fans start “praising” Durant’s less flattering appearance. “A handsome netizen” has become Durant’s new pronoun. During a business event held in China one year, Durant held a paper folding fan in his hand and wrote four big words: Youxiaoshuai. Looking at the examples above, we can see that the black stalks of our fans are mostly off-court or non-itchy points. At any time you can start software to watch the game, on social media and direct communication with the stars, the players are no longer high, at any time as fans talk, as long as it can bring joy, nothing can not come out to watch the game. But sometimes, the passages of sunspots are so incisive and funny that honeys have to admire their talent and beauty. Probably because there were too many offending fans at its peak, Kobe Black has always been the most diverse and numerous group. As a result, Black Kobe’s stalks have been in endless variety for many years. Kobe Bryant is known for his stubbornness on the court, often because of poor shooting choices. From the back-up-to-back-to-back-to-iron sigh, the two-to-cover, the four-to-three-iron, to the magician’s no-look pass corresponding to the no-pass look, to the “iron has been playing, the atmosphere is not harmonious”, and the classic long poem “Big Boss does his best”, the “dark volute” has almost become an independent sub-culture of the basketball forum. Even after Kobe opened his Twitter account, he asked what Datie meant. Another enlarged black spot for Bryant was several elbows on the court. Kobe has been banned for this, but more often than not escaped the penalties of the league. This aroused the displeasure of Ko Hei, so a series of IDs such as “elbow into Ke Point”, “love me elbow” and “elder elbow first don’t care about me” came into being at the historic moment. As for Kobe’s greatest stain in his life, the Colorado sexual assault case, is the love of Kobe black people. The simplest word to praise men’s appearance, handsome, has been given special meaning as a homophonic word for Eagle County. Faced with these mountains and seas of black stalks, Komi people from the lip, tongue and sword to “laugh” like the Emperor, and finally feel the fun. Especially after 12 years, Bryant’s old attitude began to appear, often staged “today’s 826, once 628” iron banquet, with idols experienced brilliant honeys have become indifferent, and Kohei happily melted together “black”. Boss, volute… They have become Kemi’s new hobby for the old man. Strong Out of the Country? On today’s internet, Chinese fans have given players new nicknames of themselves, and at the same time, they are trying to spread their stalks to the other side of the ocean. 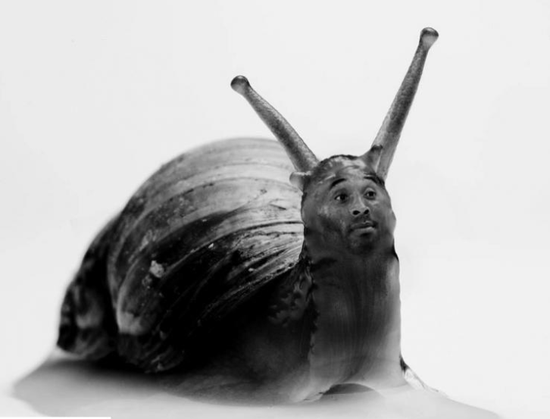 Nowitzki has more nicknames than Silver Horn King since the comparison photos of Silver Horn King became popular on the internet. Whenever Dirk Fawey leads the team to victory, fans always release this picture in the discussion after the game to show the power of the King. In 2018, the Dallas Lone Ranger official released a video. Someone gave this contrast to Nowitzki. The Germans looked at the silver corn king in the picture and nodded with satisfaction, indicating that they were somewhat similar to themselves. They also praised the two silver horn kings for their handsome (strange aesthetics). Then, the “old driver” actually said in poor Chinese, “I’ll call you, can you promise me?” It is worth noting that this video is specially matched with the background music of Journey to the West. It seems that this is not a stage title, the team and the players themselves do not mind. Perhaps this is the inevitable trend of the Internet age. Stars are no longer the idols admired by millions of people, they are in the eyes of fans, even better basketball net red. Whether it’s a fantastic game or a variety of jokes, the ultimate role is to entertain the public. After all, this is an age of entertainment to death. Why is Avenger Alliance so charming? We bought 12 brands of milk tea and found out part of the truth about milk tea. Are the duplicated sneakers selling feelings or money? How does China respond to the return of the United States to manufacturing?